As most of you know, I’m an avid observer of the Alberta Party. One of the projects that all of their newly founded constituency associations spend valuable start up time on is the creation of a logo for the local group. I’m guessing they do this due to their resistance to being part of a “partisan” group and running with one party logo would engrain that concept. If you haven’t seen any of them, just think of the “Sears Blue Crew” that they use for electronics, appliances, tools, etc. Some have been very simple and fitting. Banff – Cochrane for example. Others have been downright cheesy. 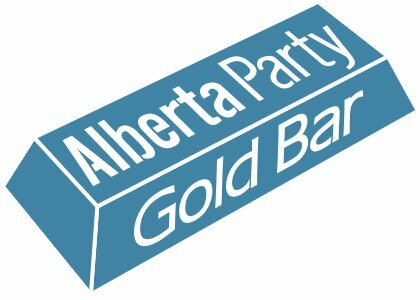 Edmonton Gold-Bar and Calgary-Elbow being the prime examples. One though left me asking myself…. What the heck were they thinking??? Here it is. What do you think? Bowl of rice? Chopsticks? 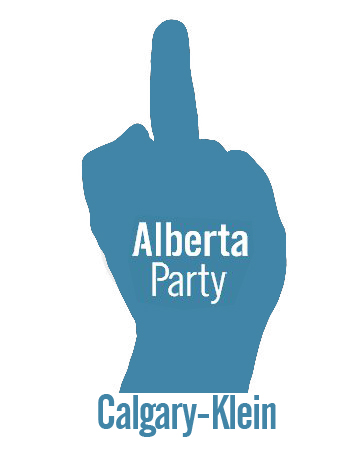 Well it’s the logo for Calgary – Currie. I suspected it was suppose to be a curry dish of some sort. 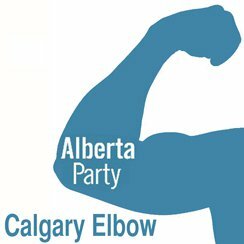 I decided to ask the only Alberta Party MLA, Dave Taylor, who just happens to represent Calgary – Currie. I posed the question to him on Twitter last night. Alas, he hasn’t responded. However I did get a quick response from Ed Mundt who says it’s a “graphic play on a word pun”. He went on to say it was wholly organic and grassroots creativity. Oddly enough he has his own logo on Twitter which is nothing short of confusing. Of Canada?? Are they a federal party now? 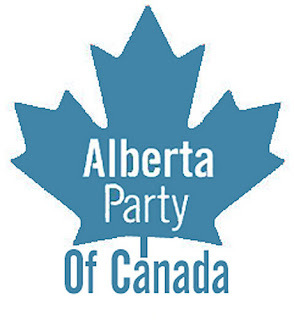 The new Alberta Bloc perhaps? The other response was from Marc Doll, which I fully expected as he just can’t resist interacting with me. As I understand it he was once on Dave Taylor’s Calgary – Currie constituency association, but I see he is no longer in the list of contacts. Either way, he does confirm it is indeed a curry dish. He says a “bust of Sir Arthur Currie seemed a little macabre”. A bust of Rutherford seems to work just fine in Edmonton. Both Marc Doll and Ed Mundt ask me if I have a “problem” with it. Of course the answer is more than the 140 character limit on Twitter…. 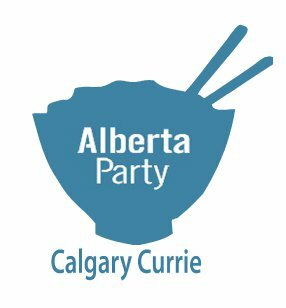 Since the logo is predominantly used on Facebook, which generally has a young audience, it could erroneously lead them to believe that Calgary Currie was actually named after some curry dish rather than the distinguished Sir Arthur Currie. And since there is zero mention of the true history on the page, all opportunity to educate young people about Alberta, World War I and Vimy Ridge in particular are lost. In this case, yes, I have a problem with it. Disrespect to the people who fought and died for our country is very high on the list of things I take issue with. The fact that it makes the Alberta Party and Dave Taylor’s constituency association look naïve; no, I don’t have any problem at all with that. Marc actually knows I have a great sense of humor, he has commented favorably on it in the past. I choose quite carefully the things I take issue with and it happens that making a mockery of our veterans falls into that category. 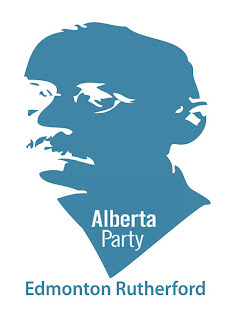 Mr. Edwin Mundt of the Alberta Party left a link in the comment section. Unfortunately it seems to be currently disabled. Thankfully I was able to get a screen snap of it before it went into the abyss. Nice. You are just too classy Edwin.